The writer James Fallows and his wife Deborah spent three years working on a project for The Atlantic called “American Futures.” They traveled around the country to small and midsized towns in a single-engine airplane, hoping to get a different view of American life than we normally see reflected in the media. It culminated in a cover story in this month’s Atlantic, and includes a lot of insight about what makes America tick. The Fallows didn’t just parachute in and talk to a few people on the streets, either. They spent weeks in 22 different cities, getting to know folks who really understand the scene at ground level. Along the way, they began to notice certain things. Following the massive recession of 2007-2008, some towns showed resilience and rebounded while others languished. After just the first dozen towns, Fallows noted that “we had developed an informal checklist of the traits that distinguished a place where things seemed to work.” For the cover story, he included an eleven-item version of that list; a summary of all the markers of successful towns. “If you tell us how a town measures up based on these standards,” he wrote in the introduction, “we can guess a lot of other things about it.” The list includes fairly civic-oriented things like “public-private partnerships are real,” and “they have, and care about, a community college.” But then there was this last one, which appears at first glance to be unlike the others. They have craft breweries. One final marker, perhaps the most reliable: A city on the way back will have one or more craft breweries, and probably some small distilleries too. Until 2012, that would have been an unfair test for Mississippi, which effectively outlawed craft beers by setting maximum alcohol levels at 5 percent. Now that law has changed, and Mississippi has 10 craft breweries. Once-restrictive Utah has even more. A town that has craft breweries also has a certain kind of entrepreneur, and a critical mass of mainly young (except for me) customers. You may think I’m joking, but just try to find an exception. Fallows is definitely right here, but I’d go a step or two further. He suggests that the appearance of a craft brewery is one effect of community health—but I’d argue that it’s at least in part the cause of a community’s vitality. When I passed through Tampa last fall, I stopped in at Hidden Springs Ale Works, a brewery that was just a few months old. It is across some invisible dividing line in a “bad” neighborhood near downtown. (It didn’t seem particularly bad to me, though it was deserted by 6 p.m.) The brewpub was absolutely packed, and people were happily visiting the neighborhood to have a couple beers after work. I would bet the entire (small) sum of my bank account that within three years, the area around Hidden Springs will be thriving. That’s what breweries do. Beyond these effects, breweries offer good careers. Manufacturing jobs have been declining for decades (down 28 percent in 20 years), but brewing is one of the few sectors within manufacturing showing growth. 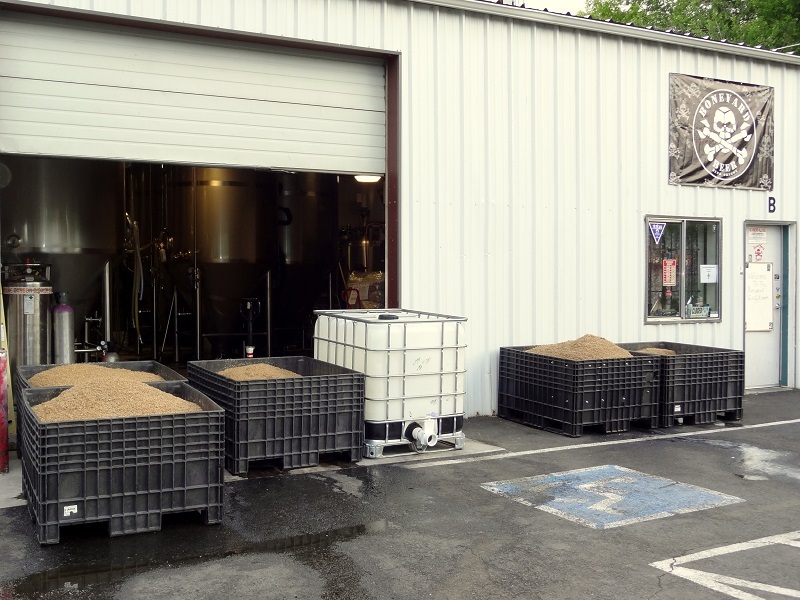 There aren’t a ton of jobs where you don’t need a college degree, but at a brewery you can work in a satisfying environment for a cool company. Nationally, breweries directly employ 115,000 people (including accountants, marketers, brewpub staff, etc. )—an impressive figure by any measure. And unlike so many jobs in manufacturing, it’s a lot harder to offshore brewing. So, I think the Fallows are right: having a local brewery or five is the sign of prosperity. But the reason breweries appear in thriving towns and cities isn’t accidental—they’re an important reason those towns are thriving in the first place. Editor’s note: James Fallows has responded to the above post with his own over at The Atlantic. Well said Jeff and couldn’t agree more! 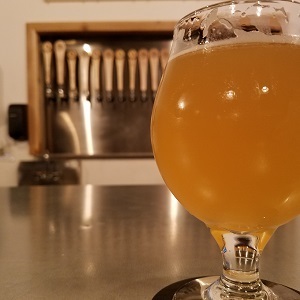 I just started teaching a class at UCSD called “Craft Breweries and the Urban Economy” and have found a number of great articles on this topic. If anyone wants to email me ([email protected]), happy to share what I’ve found. Cheers! Really interesting ideas here, you put out a compelling argument.